We all know how crazy some fans can get. And one Dappy fan took craziness to a whole new level when she got Dappy’s full name tattooed across her chest. Yup. 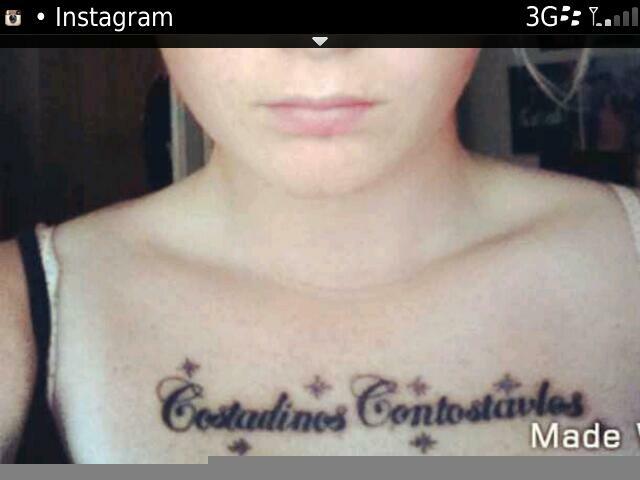 She got ‘Costadinos Contostavlos’ permanently inked on her skin until she decides to get it lasered off. That’s that extreme stan love right there. Alright, so after spending your time and money to get a painful tattoo of someone else’s name, you may expect more than “I can’t believe that” but I guess Dappy was shocked…? Let’s cross our fingers she remains a fan of his for life. And let’s hope that her future/current partner accepts that they’ll always come second to Dappy.